George Tillett is a Swans supporter, he has a keen interest in motor racing and ‘does a bit with computers’. He enjoys spending time with family and drives the bus at the retirement village where he lives with his wife, Jenny. The two friends worked together at IBM for many years. George joined IBM in 1965 where he worked as a technician installing and repairing computing mainframes for the following 45 years. “I was a university drop out,” he laughs. George had enrolled to study Electrical Engineering but decided it wasn’t for him. “I was interested in radios, I liked to pull them apart and people started giving me their old radios to fix. I dropped out of uni and worked at a radio repair business. When TV’s became common the boss sent me out to fix those too,” George said. The boss also sent him to a dedicated TV and radio repair school where George skipped 2 years of the course and was soon teaching. The best thing about volunteering at TAD is, “the combination of being able to help others, seeing the kids get excited and using my skills and background to do that,” he said. George is a self-taught mechanic, he owns a 1979 Alfa Romeo GTV and races with his son Pete at Mount Panorama. 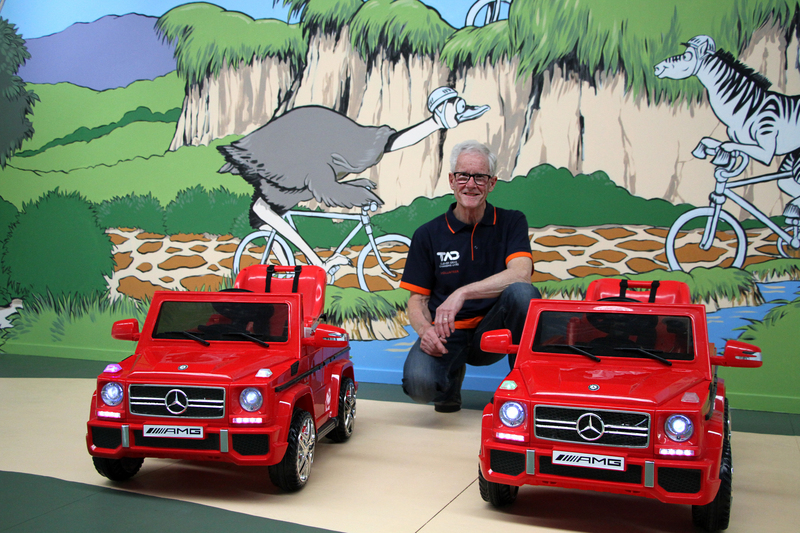 However lately George has been working on some slightly smaller vehicles at TAD. 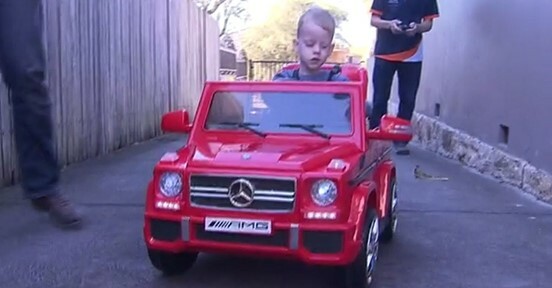 George has been modifying electronically motorised cars for young children with disability. He is about to deliver his 6th car and has been developing his design and method along the way. First, he sources the car kit which he uses as a base then he builds seating which can be adjusted to the correct angle to accommodate the child’s individual trunk support needs. Standard children’s cars, “often take off quickly and come to an abrupt stop which creates a jerking motion and is a bit harsh on the kids,” George said. To avoid this he installs custom electronics, controlled by a joy stick and Arduino computer chip. George has written his own program in C++ coding to ensure the car starts, stops and manoeuvres safely. His design also has adjustable speed ranges which can be easily set by adult supervisors and the cars now take off slowly. The steering controls have been moved from the steering wheel to the joystick so children who have limited hand movement. George has been nominated in the NSW Volunteer of the Year Awards for his work at TAD. The Awards are hosted by The Centre for Volunteering to recognise outstanding efforts and highlight the importance of volunteering to the community.